Hello my lovelies! It's been another week with lots of sun and high temperatures so I can't complain. 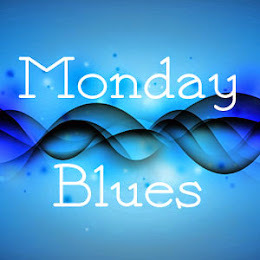 Unfortunately it's not as sunny today but I try to stay positive and get some rest since I can't do any outdoor activities. My nails have been in terrible shape lately. They've been splitting like crazy and breaking all the time. I finally decided to nubbinize them a few days ago. But don't worry because I have a few manicures saved up to keep you entertained until they grow for a bit. Here's the first one. 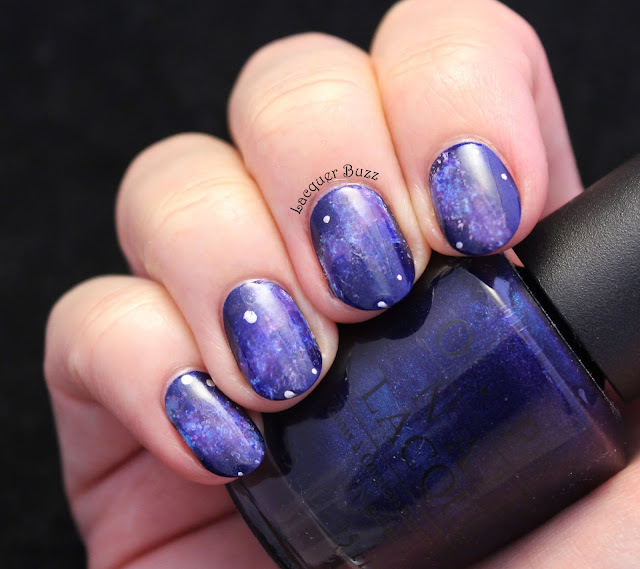 This was one of my "subtle with a twist" manicures that I love so much. 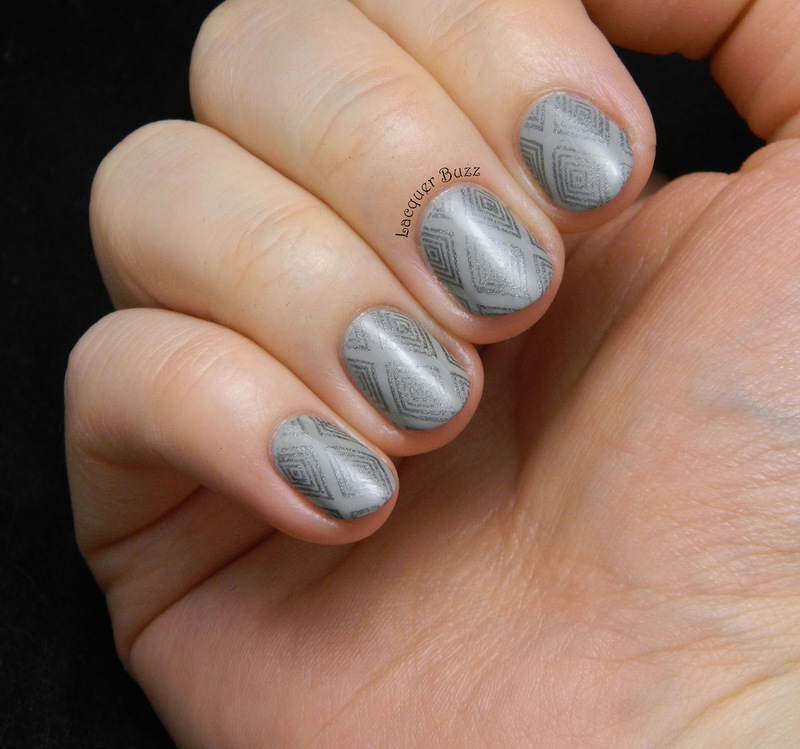 I picked this geometrical image from plate BP-L006 from the Born Pretty Store and decided to stamp it using a holographic polish. 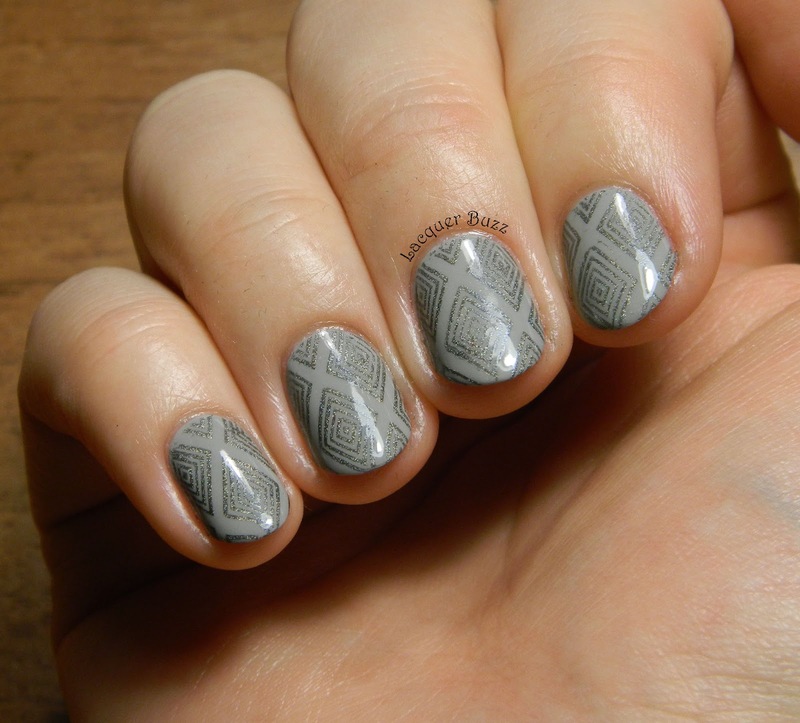 So I used Kiko 400 Steel Grey, which is a fabulous stamping polish. Here's a direct light picture to show some of the holo effect. 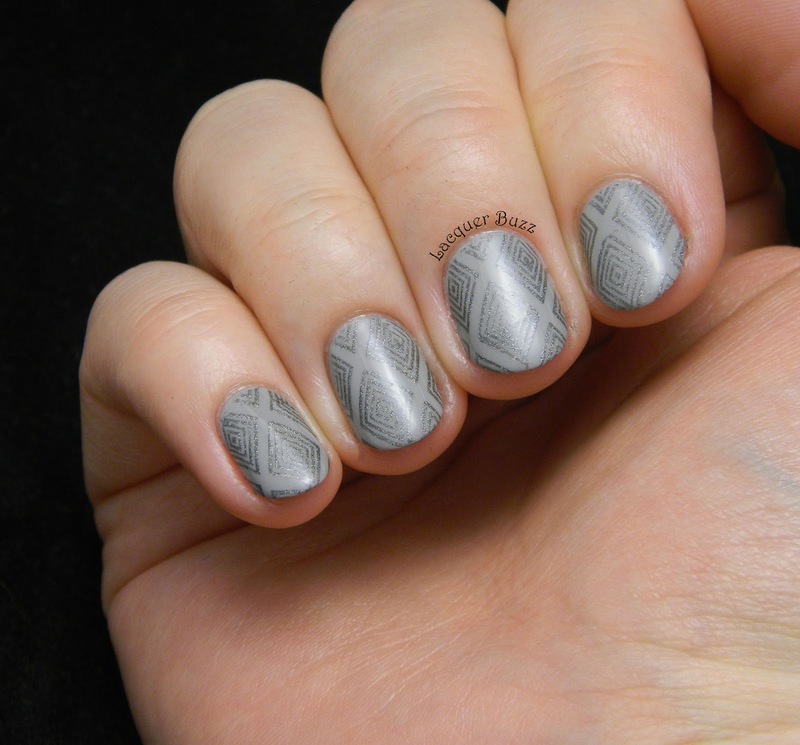 The base polish I used here is Sally Hansen Wet Cement, the best grey polish I own. 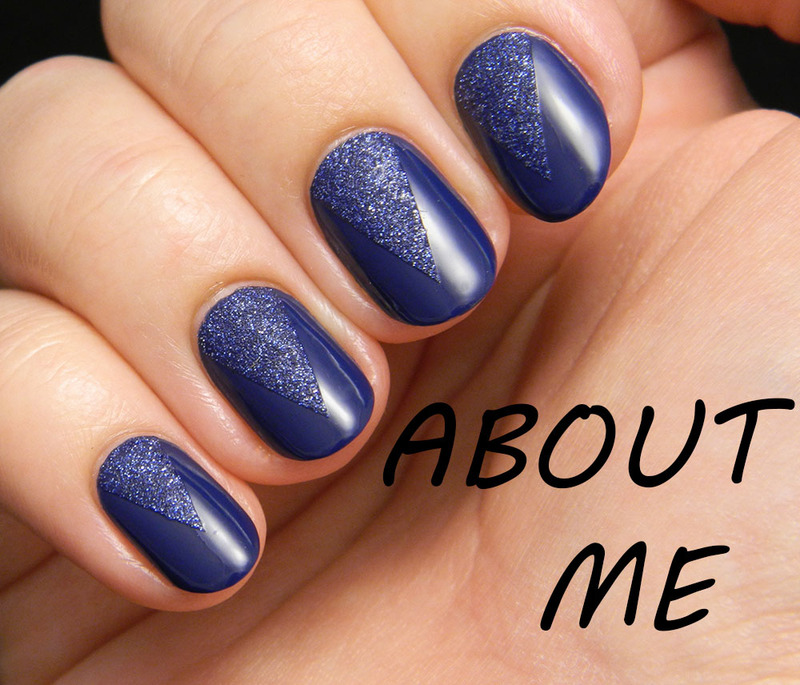 I'm not sure but I think I only used one coat for this manicure, that's how pigmented and perfect this is. The pairing between Wet Cement and the grey holo is definitely a subtle one but that's what I enjoy most. I really need a subtle stamping manicure every once in a while as a palate cleanser. This one was just what I needed. 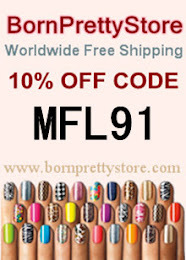 Don't forget to use code MFL91 to get 10% off your Born Pretty order. Have a very exciting weekend! Well hello there holographic Kiko! Ce faina e manichiura! De wet cement nici nu mai zic nimic, perfect de acord cu tine :) Modelul asta de stampila e genial. Il si vad la reverse stamping multicolor.